Hei, oikein mukavaa sunnuntaipäivää! Tervetuloa toukokuun Penny Black and More haasteen pariin. Nyt on helppo osallistua, sillä kaikki käy - kunhan muistat käyttää ihan oikeaa leimasinta. Hello, first Sunday of the month - it's time for new Penny Black and More May Challenge. 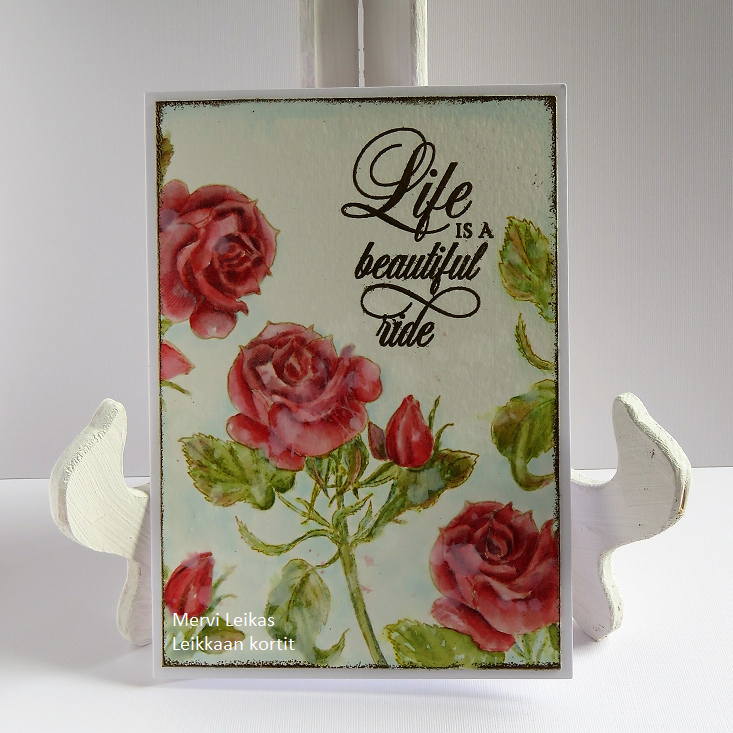 We have an easy theme as Anything Goes, but remember we are a stamping challenge! Our sponsor is Penny Black, with gorgeous new prizes! And more from Crafts U Love and Rare Earth Stamps. Welcome to join in the fun! and a white paint+ water splashes with large paint brush. I've been admiring the wonderful colouring on your Roses all week Mervi, just beautiful. Enjoy the weekend and sunshine. I gorgeous classical card with lovely embossing too. Thanks for sharing at Fab n Funky. So beautiful Mervi! LOVE how you colored the roses! Such a wonderful card Mervi! Such a beautiful card, mervi, love your colouring! Beautiful creation, love the flowers and your choice of colours, brilliant colouring. Absolutely amazing work with the colouring of the rose image. It turned out just stunningly beautiful. Love it. WOW - Just wow !! I love your card. I love your colouring - It is amazing !! Thank you for playing along with us at Papercraft Business Challenge! I’m so impressed by your coloring here, the shading is perfect, so professional! The card looks stunning. A real beautiful card and amazing colouring. 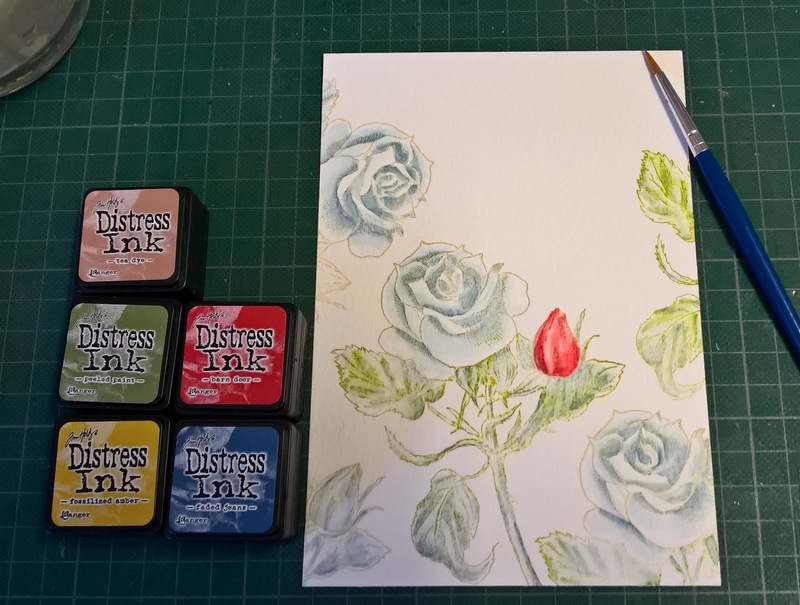 Distress ink is one of my favorites to use for cards too, what a lovely effect! Thanks for joining us this month at Papercraft Business and hope to see you for upcoming challenges! Can I just say - I had to look twice! Those roses looked decoupaged - they are sooo perfectly colored! Such an amazing job!! !